We can see that often the experienced and the fresher tester is asked to write the test cases for the calculator. Many times the type of the calculator is not mentioned. Test cases for the calculator depends on the type – scientific, simple calculator, financial calculator or some other specific calculator like programmable calculator. For the sake of simplicity, we are choosing simple calculator for the test cases. You can come up with plenty of test cases in order to test calculator based on the mathamatical computation. However, we are here testing the calculator to see if it is fit for cosumer use. So we have to make sure that it fits for the most obvious tests. If those tests are passed then we can safely assume that product is fit for use. 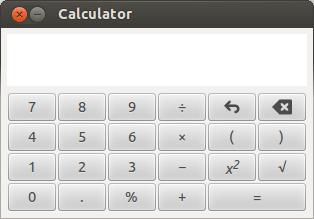 I am taking Ubuntu Linux’s calculator as an example for my test case. You can use the below calculator or use the one that comes with your operating system. Write the test cases based on the following functions and scenarios. Check the calculator if it starts by on button. If it is software based calculator then check if it starts via specific means like from searching for calculator in search bar and then executing application. Or by accessing menu item in the Windows. Check if the calculator window maximizes to certain window size. Check the if the calculator closes when the close button is pressed or if the exit menu is clicked from file > exit option. Check if the help document is accessed from Help > Documentation. Check if the calculator allows copy and paste functionality. Check if the calculator has any specific preferences. Check if the arithmetic keys ( +, -, *, %, /) are working. Check if the clear key is working. Check if the brackets keys are working. Check if the sum or equal key is working. Check if the square and square root key is working. Check the addition of two integer numbers. Check the addition of two negative numbers. Check the addition of one positive and one negative number. Check the subtraction of two integer numbers. Check the subtraction of two negative numbers. Check the subtraction of one negative and one positive number. Check the multiplication of two integer numbers. Check the multiplication of two negative numbers. Check the multiplication of one negative and one positive number. Check the division of two integer numbers. Check the division of two negative numbers. Check the division of one positive number and one integer number. Check the division of a number by zero. Check the division of a number by negative number. Check the division of zero by any number. Check if the functionality using BODMAS/BIDMAS works as expected. If your calculator has advanced features as shown in the screenshot. You can add few more tests in the scientific calculator. Check if the sin, cos, tan and cos is operational using the keys. Check if the x-1, x!,|x|,x^y and f(x) is operational and works as expected. Check if the log key is operational and works as expected. Check if the natural logarithm key i operational and works as expected. Check if the factorial key is working as expected. Check if the real and imaginary component keys are working as expected. Check if the complex conjugate keys are working as expected. 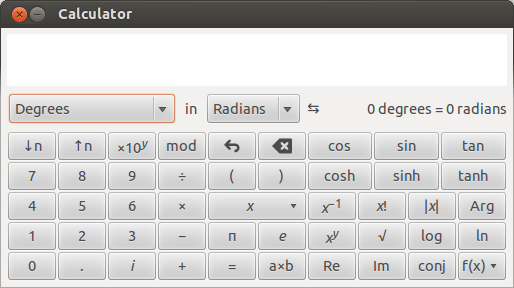 Some of the advanced scientific calculator has the converter option. It does the conversion of angle, length, weight, area, volume, duration, currency, temperature. Make sure you write the test cases for the same. The additional keys for the financial calculator will be as shown in the image. Some calculator has the mode for enabling these keys.